Posted on August 5, 2013 by Lena K.
And again I’m a little late with this announcement, but better late than never, right? Sono Hanabira – Shirayuki no Kishi (Snow White’s Kinght) will yet again feature a new couple, Shirakawa Sayuki and Shinozaki Rikka, two freshmen at St. Michael’s. 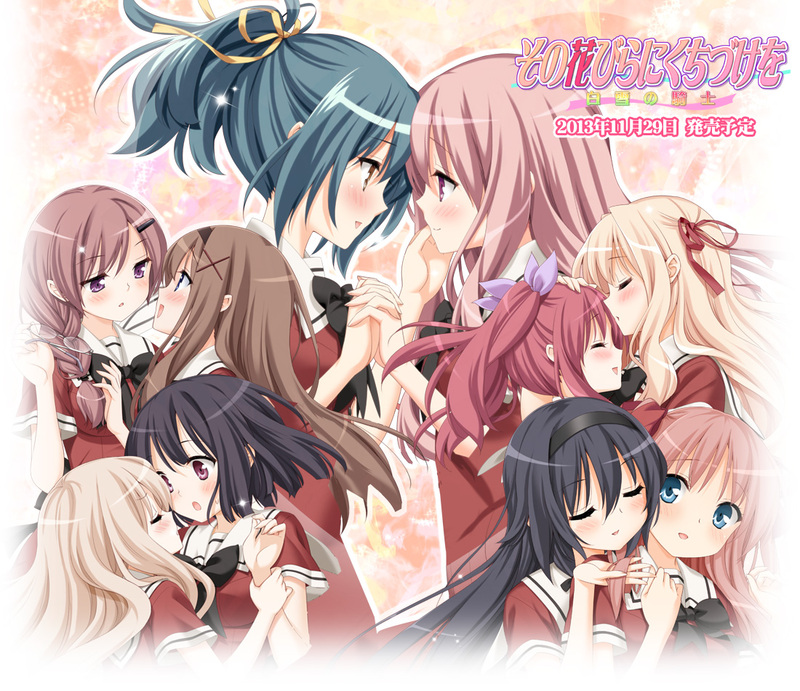 So just like Sono Hanabira – Michael no Otome-tachi, this game will feature all the previous couples (with exception of SatsukixYuuno and RingoxChiaki) and have Sayuki and Rikka as the main one. Furthermore the artist for this game will be Peko again, while JUN will do the story. The month is June – the time when high school girls change into their summer uniforms. Azumi Risa, who has now moved on to her second year of high school, has been hearing around campus that the new freshmen are bubbling over with excitement over the Best Couples poll. 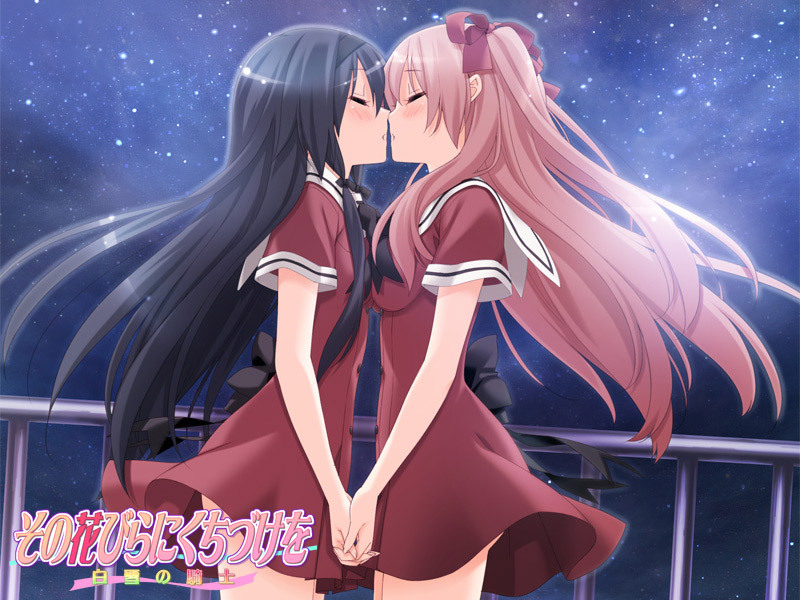 Risa herself was selected as a Best Couple along with Ayase Miya due to her classmates’ misconceptions, and although she rejected it at the time, the two of them now share a fully mutual love as they spend their passionate days together. And so, when a new freshman pair is selected, they’re introduced to the second and third year couples. Matsubara Yuuna, Chairman of the Environmental Preservation Committee, and her junior, Oda Nanami. The idol, Kitajima Sara, and her cousin Kitajima Kaede. The singing sensation of the cultural festival, Kawamura Reo, and her girlfriend, Sawaguchi Mai. This year’s freshman couple consists of Shirakawa Sayuki, a talented scholar and athlete who is being hailed as “The Perfect Lady,” along with Shinozaki Rikka, a girl who set a national record in the 100 meter dash shortly after enrolling. However, when Risa went to greet these two girls, Rikka exclaimed “Risa-nee!” and wrapped her arms around her. The surrounding students let out a shrill scream and burst into an uproar at the sight of these two sharing a passionate embrace in front of their respective partners! With the campus rocked by this… scandal? What will become of Risa and Miya, not to mention Rikka and Sayuki?! The release date is set for 29 November 2013. For more information, check out the game’s official website or AXYPB for more information translated into English. 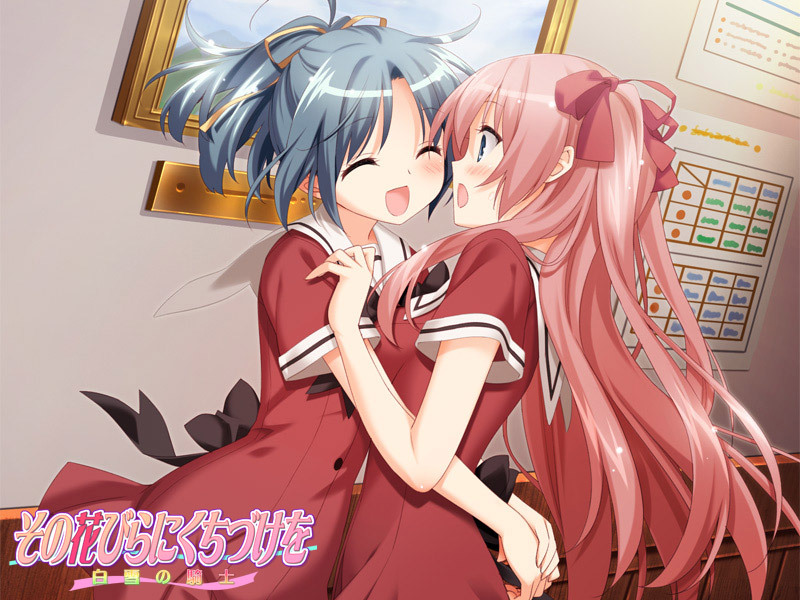 This entry was posted in Adult, News, Visual Novel and tagged Eroge, Sono Hanabira by Lena K.. Bookmark the permalink. More like, can't wait to play the game and try as hard as I can to understand 5% of what's being said. True. The dialogue rarely changes when two cute and beautiful women are making love.